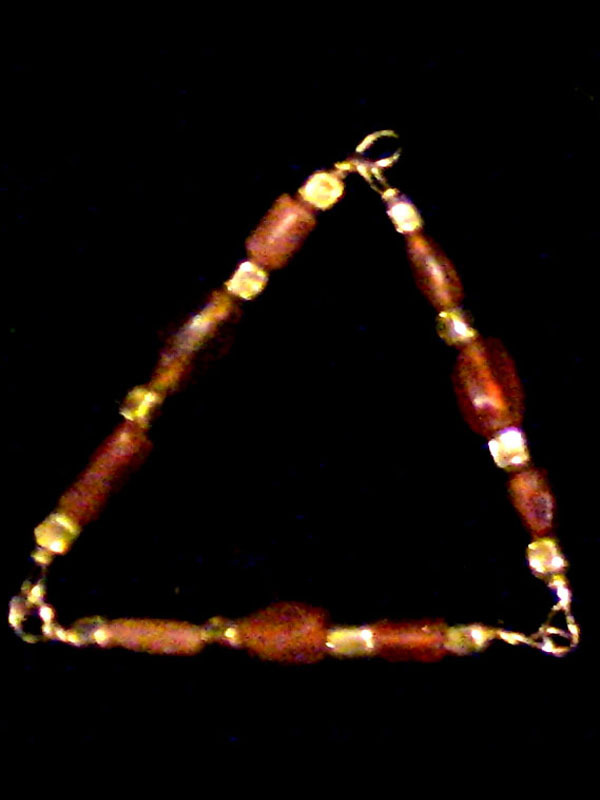 Ancient Minoan Carnelian & gold beads in modern gold wire reconstruction. Ancient goldsmiths made square gold beads at about 18k to roughly 22k of fine, meaning that the gold beads are VERY high karat, much more so than the 14k gold you see typically. The wire is modern 14k gold, the beads are very rare, very hard to find and very hard to obtain in any drill-size that will allow the passage of heavy gold wire.